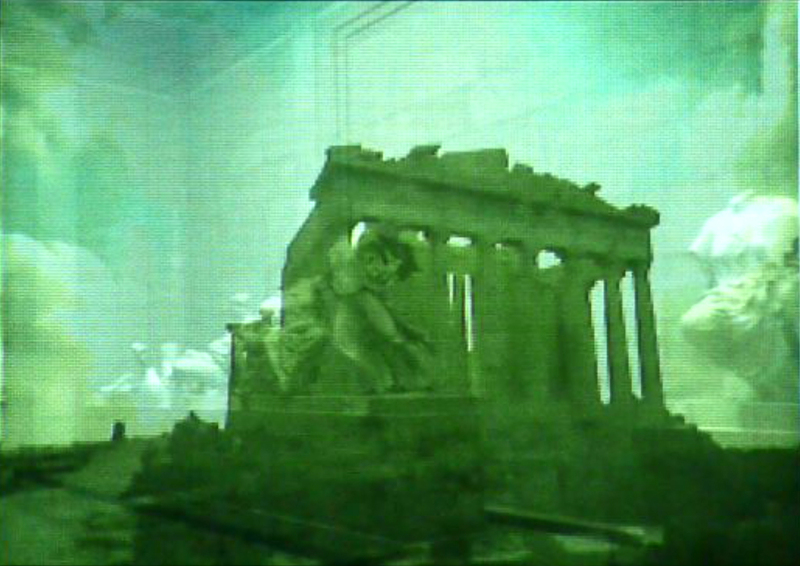 In this projection, a part of the ‘Parthenon’ film produced by the University of Southern California is used. 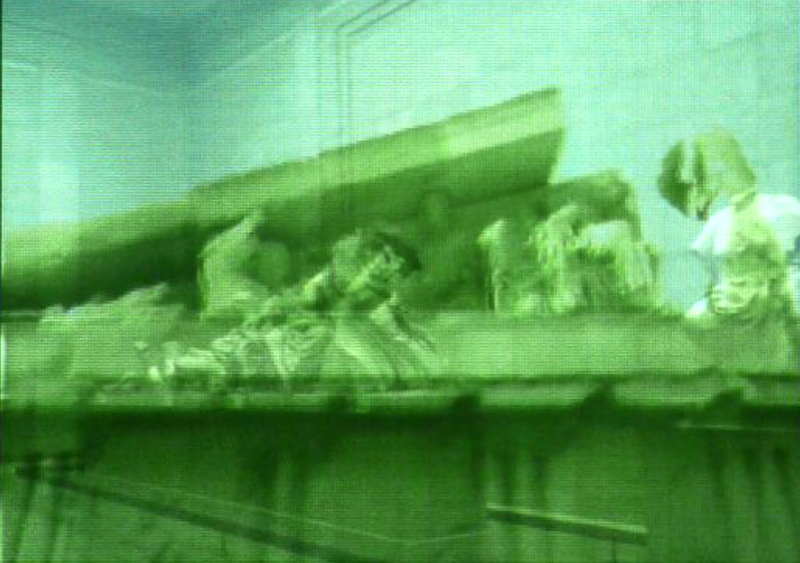 A perspective image of the Duveen gallery is used as the background against which the animation is projected. 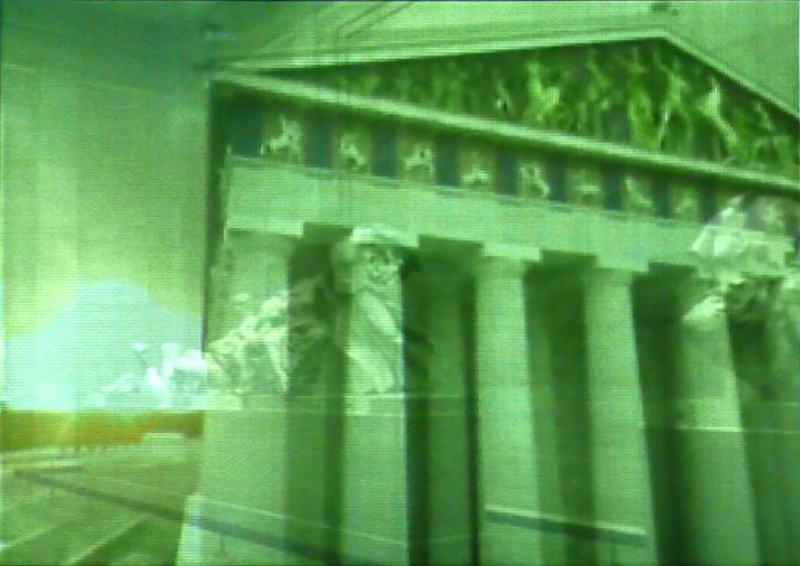 The animation places the marbles of the gallery in their original place, and colors them up.